Players are just coming back from their 60-minute dinner break in Event #1. 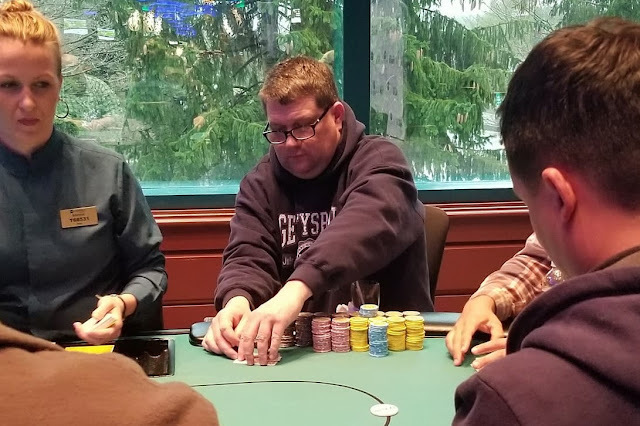 Sean Miynihan is the far and away chip leader of the final 26, and the only player to have crossed over the 200k chip mark so far. Play will continue for these 26 players until the field is thinned by ten. The final 16 players will then bag up their chips, and will advance to Day 2 in the money.